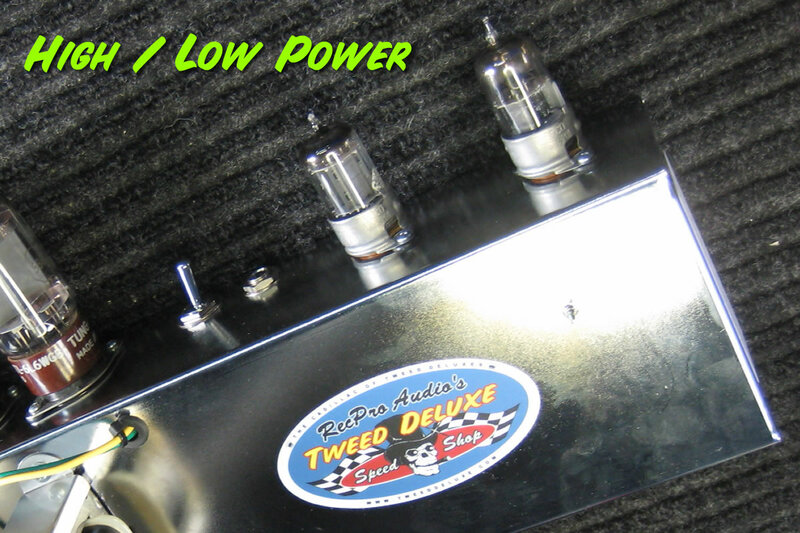 High / Low Power option is a non-tone-invasive addition to any Deluxe that reduces discernible output volume by about half - without changing the normal response of the amp. It's a clever bit of engineering (and a very simple circuit that requires very few parts) that does not involve the power supply. As such, it does not change the amp's base circuit, and that's why the amp sounds the same. Due to the vintage hi-fi origins of the HLP circuit, the amp's response is actually slightly smoother. For this reason, HLP can be considered an upgrade - even when it is not used for its intended purpose of volume reduction. HLP is activated by a switch located between the power tubes and preamp tubes on the chassis - right next to the speaker out jack. HLP is available on all amplifiers for an upcharge of $100.